The state Legislature has finished passing the bills that make up the new $28 billion state budget. They wrapped up the budget work today, as both the Senate and House were in session. The final votes included a promise to work on a Marcellus Shale natural gas extraction tax and a fiscal office, as well as $600 million in capital projects borrowing. Governor Ed Rendell says he plans to sign the budget bills on Tuesday and Wednesday in the Harrisburg area and at other locations throughout the state. Dennis W. Lowery, 65, of 25 School St., passed away Sunday, June 27th, 2010 in Gibsonia. Born January 20, 1945, in Rochester, NY, he was the son of the late William J. and Bernice B. (Butts) Lowery. On June 20, 1970 in Pittsburgh, he married Deborah Sainsbury, who survives. Mr. Lowery was a 1963 graduate of Bradford High School. He then was a member of the first class of the University of Pittsburgh at Bradford. He graduated from The University of Pittsburgh in Oakland in 1967 with a Bachelor's of Science Degree in Biology. Upon returning to Bradford, he worked at his family's business, Tuna Manufacturing, where he served ultimately as owner and President. In July of 1987, he joined Northwest Mutual Savings Bank, where he worked as Supervisor of Facilities and Properties. He was currently employed at Northwest Savings Bank as Vice President of Facilities and Properties. A couple who met while studying at the University of Pittsburgh at Bradford in the early 1970s have established a scholarship to help students who can benefit, like they did, from the benefits of a smaller campus. John and Marie Seltzer’s gift of $5,000, matched by the Agnes L. and Lewis Lyle Thomas Scholarship Challenge, establishes the John W. and Marie R. Seltzer PBAA Fund, which will be a general fund to benefit any worthy student. John Seltzer studied at Pitt-Bradford from 1972 to 1974, and went on to graduate from the Pittsburgh campus. The remains of a Tyrone man missing in action since his cargo plane went down in Burma during World War II have been identified. Clarence Frantz was 24-years-old when his C-47A Skytrain left India on May 23, 1944, to resupply Allied forces near Myitkyina, Burma. Frantz and the six other airmen will be buried with full military honors July 15 at Arlington National Cemetery. Back in 1996, the Defense Department identified Staff Sergeant Anthony "Bib" DeLucia of Bradford, who died in August of 1944 when his B-24 Liberator crashed into a mountainside in South China. A Cattaraugus man is facing charges after he crashed his pickup truck in New Albion early this morning. Sheriff’s deputies say 31-year-old Bret Frantz wrecked the pickup in a ditch at the intersection of Mayo and Chautauqua roads at 12:49 a.m. He was charged with driving while intoxicated and moving from a lane unsafely. He was released on his own recognizance. A Coudersport woman was hurt in an accident at 10:10 Friday morning in Roulette Township. State police say 21-year-old Krystal Crum was rounding a sharp curve on Back Road when she came across wood debris in the road. When she steered to miss the debris, her car went off the road, hit an embankment and a large rock. Crum was taken to Charles Cole Memorial Hospital by private vehicle for treatment of back pain. During Friday's session, Senator Dave Argall commented on the passage of Senate Bill 900, which would hold property owners accountable for the costs to secure, remediate or demolish blighted structures. A 17-year-old boy was taken by Mercyflight to ECMC in Buffalo after an accident early this morning on Seaward Avenue, just north of Tuna Crossroads. In a fax sent to WESB and The HERO, Foster Township Police say at 2:20 a.m. the vehicle driven by the 17-year-old crossed the road, went into the yard of 644 Seaward, hit a mailbox then traveled into the yard at 630 Seaward, where it hit a tree and a parked vehicle. The driver was thrown from the vehicle. 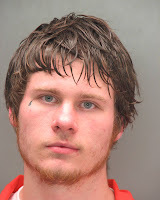 Passenger 18-year-old Joshua Harris was treated at the scene and released to the custody of his grandmother. Passenger 48-year-old Larry Elliott was taken by ambulance to BRMC. John Schneider, probably best known for playing "Bo Duke" on The Dukes of Hazzard, will be performing during the annual "A Capitol Fourth" on PBS. I had the pleasure of speaking with him this morning about the show. You can listen here. Fore more information about "A Capitol Fourth," go here. Two people were hurt in an accident at 7:20 Thursday night on Route 49 in Potter County. Police say a car driven by 31-year-old Tonya Crosson of Coudersport drifting off the road, went out of control, slid across the road, hit an embankment and turned over. Crosson and her male juvenile passenger were not wearing seatbelts and suffered minor injuries. The car had to be towed from the scene. Police say Crosson will be cited for driving at an unsafe speed. A Jamestown couple is facing charges after their children were found locked in a room in squalid conditions Thursday afternoon. Police say the 1-year-old, 2-year-old and 4-year-old were found in a room with feces, food and dirty clothes scattered over the floor. They say the room was padlocked on the outside and they could smell marijuana in the apartment. Officers also found marijuana paraphernalia and residue. Chautauqua County probation officers were conducting a visit at apartment 21-year-old Amanda Jackson when they discovered the children. Jackson and 40-year-old Joseph Tucker are the parents. Police say there also was a large hole in the floor that children could step into, and an electrical breaker box with wires exposed that were within reach of the children. Tucker was charged with three counts of endangering the welfare of a child and felony criminal contempt for violating the two orders of protection. HARRISBURG - State Rep. Kathy Rapp (R-Warren/Forest/McKean) this week voted against a state budget that increases state spending to $28.04 billion and uses $850 million in federal money that has not been approved to balance the budget. "Although I am pleased we have been able to get a budget passed in a timely manner, this spending plan is unrealistic and irresponsible," said Rapp. "Not only are we spending $28 billion when revenue has only netted the state around $25 billion, but we are also relying on $850 million from the federal government that has yet to be approved - and is looking less likely that it will be the longer time goes by." The $850 million is stimulus money from the Federal Medical Assistance Percentages that Congress must approve. The Bradford Area Chamber of Commerce announces its 3rd annual Summer Soiree to be held July 21st from 5-7:30pm at Heritage Suites, 139 Minard Run Road. The Summer Soiree is an adult networking event, open to the public, which will include refreshments by Bradford City Beers and Tortugas Restaurant, hearty hors d’oeuvres by Andy Mascioni Catering, and live music by Take 3. Heritage Suites will offer tours during the event. This event is an opportunity to socialize and network in a fun, casual atmosphere. There will be door prizes and the drawing for the 200 Club raffle will be held at 6:30pm. There is a nominal admission fee of $10 per person. – PennDOT issues the following travel update for the Route 219/Bradford Bypass project in McKean County. This update is for the week of July 5. All work is weather and schedule dependent. Glenn O. Hawbaker, Inc. of State College is the contractor on this $28 million job. · No work will be performed Monday, July 5 in observance of the Independence Day holiday. · Work on the Route 219 southbound ON-ramp at Elm Street continues. Traffic is using the existing shoulder. Contractor crew will be working close to the roadway, placing concrete for a new barrier wall. Expect delays during work hours. · Contractor will continue to truck materials for sub-base and paving operations and will be pulling into the closed “dead lane” from the northbound “live lane”. Traffic may be slow moving on Route 219 as this work takes place. State police are continuing to search for a Titusville man who has been missing since Saturday. 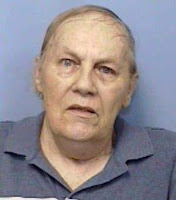 76-year-old Charles Speer was last seen at Presque Isle Downs & Casino in Erie at about 6 p.m. on June 26. Police say he drove away in a 1998 burgundy Nissan Maxima with the Pennsylvania license plate GFA9486. The State Senate did not approve a budget plan during Thursday's brief meeting. Republican lawmakers, including Senator Cathy Young, say it's outrageous the budget is three months overdue. "In one of the most irresponsible and shameful moves ever seen in Albany, the New York City-controlled tax and spend Senators have decided to adjourn rather than finishing the state budget," Young said in a statement e-mailed to WESB and The HERO. "They have added billions of dollars in new spending, yet they are skipping town without paying the bill." "When Upstate Senators questioned them about why they were not bringing up the rest of their budget, they refused to answer, and instead ruled Senators out of order," she said. A man is facing charges for allegedly threatening an employee while robbing the Rite Aid Pharmacy in Wellsville Thursday. In a news release, police say 29-year-old Aaron Heale grabbed an employee at just before 1 o’clock in the afternoon, said he had a weapon and demanded drugs. They say based on excellent information provided by witnesses, they were able to find Heale in Wellsville at about 2:45 p.m.
He’s charged with robbery and petit larceny. The McKean/Potter Counties American Red Cross held its annual meeting on June 30, 2010 at the Sawyer Evangelical Church’s pavilion in Bradford. The primary purpose of the meeting was to thank Red Cross volunteers and donors. Volunteer program awards were presented by executive director Jason Bange and human resources chairperson Melissa Ibanez to Marion Lineman for Blood Services; Ray Austin for Community Services; Jennifer Stambaugh for Emergency Services; and Sam Cummings for Financial Development. Outgoing board members were honored while incoming board members were welcomed. Outgoing board members include Melissa Ibanez, HR Chair, Jane Bell, Secretary; Staci Frantz, Treasurer; and Stacy Sorokes Wallace, Chairperson. New board members are Danielle Delong, Mike Montecalvo, Erika Seagren, and Jon Bradish. Incoming officers are: Thomas Schultz, Secretary; Cliff Wood, Finance Chairperson; Sam Cummings, Vice-Chairperson, and Ryan Dach, Chairperson. The man accused of killing a woman and her infant daughter in March has pleaded not guilty. Waide Nolf was formally arraigned by Judge John Pavlock in McKean County Court on Thursday. 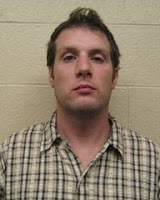 He’s accused of drowning Tanya and Tamara Haight in a house they shared with several other people on Pleasant Street. A Missouri man is accused of trying to smuggle five pounds of marijuana into the Rainbow Family gathering near Hearts Content in the Allegheny National Forest. The US Forest Service says 37-year-old Bruce Runion Jr. was arrested Tuesday after a joint investigation they conducted with the Warren County Drug Task Force. Runion is charged with possession with intent to deliver a controlled substance, criminal conspiracy and 11 counts of criminal use of a communications facility, for using UPS to ship the pot from California. WILLIAMSVILLE, N.Y. – Tops Friendly Market announced that it has awarded $876,200 dollars to 772 Tops first-year and matriculated college associates, associate dependents and associate grandchildren for the 2010-2011 academic year. Since the start of the scholarship program in 1989, Tops has awarded $12,585,050 dollars to over 10,000 recipients. All Tops associates, union and non-union, their dependents and grandchildren are eligible to apply for scholarship awards ranging from $1,000 to $1,500 annually over the course of four academic years. 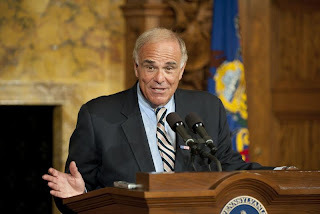 Harrisburg -- Governor Ed Rendell Thursday said that state revenue collections in June exceeded expectations. Pennsylvania collected $3 billion in General Fund revenue in June, which was $58.3 million, or 2 percent, more than anticipated. “June is the first month since December 2007 that our revenues have been above what was estimated." Fiscal year 2009-10 General Fund collections totaled $27.6 billion, which is $1.176 billion, or 4.1 percent, below estimate. Sales tax receipts totaled $776.9 million for June, $7.7 million above estimate. Sales tax collections for the fiscal year totaled $8 billion, which is $362.1 million, or 4.3 percent, less than anticipated. Personal income tax (PIT) revenue in June was $1.1 billion, $2.8 million above estimate. This brought fiscal year PIT collections to $10 billion, which is $308.3 million, or 3 percent, below estimate. HARRISBURG -- The Department of Agriculture announced today that it has quarantined cattle from a Tioga County farm after a number of cows came into contact with drilling wastewater from a nearby natural gas operation. Agriculture Secretary Russell Redding said uncertainty over the quantity of wastewater the cattle may have consumed warranted the quarantine in order to protect the public from eating potentially contaminated beef. The 3rd Annual McKean-Potter Counties American Red Cross Golf Tournament, held at Pine Acres Country Club last Saturday, was a great success raising over $7,500 to support the chapter’s programs and services. The tournament committee thanks all those who sponsored and participated in the event and hopes everyone will participate again next year. A Collins Company Foundation gift of $20,000 for the purchase of a GlideScope for KCH’s Emergency and Operating Rooms was acknowledged last week with Emergency and Operating Room staff gathering for in-service on the use and care of the new equipment. Connie Grenz, General Manager of Kane Hardwood, a Collins company worked with CEO J. Gary Rhodes and George Saleh, CRNA, Manager of the Department of Anesthesia at Kane Community Hospital to identify and research several options for the formal Foundation request. 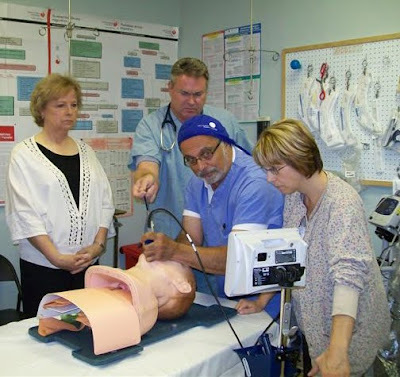 The ER video intubation laryngoscope was on Kane Community Hospital’s wish list for emergency room health professionals. The GlideScope Videoscope is a recommended instrument of the American Society of Anesthesiologists to be a standard part of the difficult airway management protocol. Everyone loves a parade. The Kane Area Relay for Life's annual parade is on Thursday, July 15 at 6 p.m. in uptown Kane. The Relay parade is the largest parade of the year. Bring your family, friends, kids of all ages. Organizers are in the final stages of planning the event. Still needed are a several convertibles or jeeps for Miss Relay Contestants and local dignitaries. If you have a convertible or jeep that could be used for the parade, please contact Shirley Morgan at 837-9696 or Marianne Rook 837-7115. If you or your club or group would like to walk or ride in the parade, or you have a unique vehicle or a vehicle promoting your business, please call as well. The parade is a show of awareness and support for all those touched by cancer in our community. OLEAN, NY -- The Cattaraugus County Arts Council (CCAC) announces its free summer programming held in partnership with Allegany State Park. The classes were made possible with funds donated by National Fuel as well as monies raised by auctioning artist-inspired Adirondack Chairs in August 2009. American Refining Group has announced the addition of Biogas Engine Oils to its line of Brad Penn Lubricants. Brad Penn Biogas Engine Oils are premium quality stationary gas engine oils with enhanced alkalinity reserve designed for use in applications where fuel gas is generated from anaerobic digestion of manure, compost and/or landfill residue. Ken Tyger, ARG technical service representative, says the Brad Penn Biogas Engine Oils were formulated and tailored specifically to service stationary internal combustion engines, modified to run where methane is generated. He says an engine oil was needed with specific chemistry and characteristics to neutralize the acid produced and to protect engines from damage. Ben Postles from Penn England Farms, an 1,800 cow dairy farm in Williamsburg, was among the first farms to use the Brad Penn Bio as Engine Oils in the farms digester engine. There’s no better way to spend Independence Day weekend than to take in the sights and sounds at a state park. The Kinzua Bridge State Park, located in McKean County, Pennsylvania, and Allegany State Park, in Salamanca, New York, both offer a multitude of activities beginning on Friday, July 2. Step back into history at the Kinzua Bridge State Park for a History of the Bridge Talk and Walk which take place from 1 to 3 p.m. The Kinzua Bridge State Park is located on Route 3011. The Kinzua Viaduct was built to span the Kinzua Gorge as a railroad viaduct in 1882. The viaduct was partially destroyed by a tornado in 2003, but will be reborn in 2010 and will open as the Kinzua Sky Walk in the fall. Railroad enthusiasts need to come on board to a couple of programs at the park. The New York State Department of Environmental Conservation says more trees in the Randolph area have been infested with emerald ash borer, a tree-killing beetle first confirmed in New York last year. DEC foresters have detected emerging insects on private woodlands south of Interstate 86, but within the previously established quarantine area. The emerald ash borer is a small but destructive beetle that infests and kills North American ash tree species, including green, white, black and blue ash. Since it was first discovered in Michigan in 2002, the emerald ash borer has spread to 13 states, including Pennsylvania, and two Canadian provinces and is responsible for the destruction of 70 million trees in the United States alone. After the insect was discovered in Cattaraugus County last year, a multi-agency effort was undertaken to attempt to control its spread. The University of Pittsburgh at Bradford will hold an informational session July 13 about the University of Pittsburgh’s Master of Social Work degree offered on the Bradford campus. The session, which will take place at 6 p.m. in Room 162 of Swarts Hall on the Pitt-Bradford campus, will feature Phillip Mack, director of admissions for the University of Pittsburgh School of Social Work, which is consistently ranked in the top 10 social work programs in the country. Stephanie Eckstrom, coordinator of the MSW program in Bradford, will also be on hand. Topics to be addressed include the admissions process, program structure, curriculum, financial aid and more. Applications are now being accepted for Pitt-Bradford’s fifth cohort, or class, being formed for Fall 2010. Prospective students can expect to complete the degree requirements by December 2013. Two Salamanca women are facing child endangerment charges in separate cases. Police say 19-year-old Trisha Fernandez was baby sitting and left a 1-year-old alone so she could go to a pawn shop with something she stole from the baby’s mother. The mother called police after she got home and found the baby alone. Fernandez is also charged with criminal possession of stolen property, petit larceny. She’s in Cattaraugus County Jail in lieu of $500 bail. In the other case 24-year-old Jessica Wahl was charged after her 2 ½-year-old son wandered out of the house wearing only a diaper while she was napping. Police say they received calls from neighbors about the toddler, but did not receive a call from the mother reporting her son missing. Wahl was issued a ticket to appear in city court. Merchants within Downtown Bradford’s historic district will be extending their business hours this Friday, July 2nd as part of their First Fridays program. Merchants extending their hours to 7 p.m. include Paper to Pages, Grandma’s House Tea & Gifts, Main Street Antiques, Tin Ceiling Gift Shoppe, Bradford Furniture, Orris Jewelers, Roseart Gifts, and the Main Street Mercantile. The Fran Charles Shop is extending its’ hours to 9 p.m. every Friday, and Man’s World is open until 6 p.m. on Fridays. 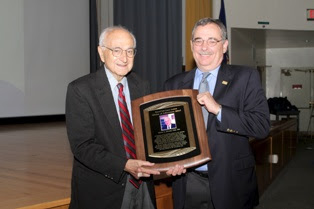 Paying tribute to a man who helped steer the Institute through crucial junctures, Roswell Park Cancer Institute (RPCI) presented a Lifetime Achievement Award to Edwin A. Mirand, PhD, DSc, Vice President Emeritus for Educational Affairs and Senior Advisor to RPCI President and CEO Donald L. Trump, MD, FACS — one of the five RPCI presidents with whom Dr. Mirand has served. Fourteen students graduated from the Pennsylvania College of Technology’s medical assistant program. The students participated in the program over the past year which was made possible from a North Central Workforce grant, in collaboration with Charles Cole Memorial Hospital, Pennsylvania College of Technology and the Potter County Education Council Center. The registered medical assistant exam was held June 3 at the Potter County Education Council. HARRISBURG - Rep. Martin Causer (R-Turtlepoint) Wednesday opposed the 2010-2011 budget adopted by the state House and sent to the governor's desk. The $28.04 billion plan represents a reduction of just under $1 billion from the governor's original proposal. "While I commend House and Senate Republican leaders for successfully cutting the governor's original spending plan by nearly $1 billion, I believe this budget still spends more than the people of Pennsylvania can afford," Causer said. Although the budget does not require any new taxes to balance, it creates a "structural deficit" of at least $3 billion that will have to be addressed in the next fiscal year. That could lead to tax increases people cannot and should not have to pay, Causer said. Children attending the CARE for Children/YMCA Day Camp toured the Zippo Case Museum on Wednesday. Museum curator/historian, Linda Meabon, shows some of the campers a giant rolling flint. Pictured from left to right (front row) are Blayke Bridge, Cody Yohe, August Whitford, and (back row) Zethan Brougham,David McClelland, Jane Hartle, EI Coordinator at CARE, and Meabon. 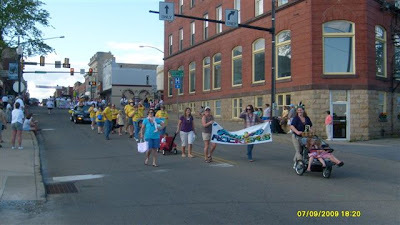 Each summer CARE offers the day camp that incorporates craft activities, field trips, gym classes and adaptive swimming led by physical and occupational therapists, CARE also has provides camp scholarships through their campership program for children with a permanent disabilities in McKean County, that wish to attend Camp JJ or other camps. Day camp and the Summer camp scholarships are made possible with funding provided by the Orak Grotto Tag Days. CARE for Children is a non-profit organization that provides services for children of all abilities. A Jamestown man is in jail after being accused of beating up his 11-year-old son. Police say 38-year-old Thomas Baxter Jr. was drunk when he shoved, hit and head-butted his son. Baxter is facing child endangerment charges. New York State senators were expected to convene early this morning to vote on the final item in this year's budget. But now, they've decided to postpone the vote until after the July 4th holiday. Senate Democratic leader John Sampson now says he agrees with Governor David Paterson, that the state needs a contingency plan in case $1 billion in Medicaid funding is not approved by Congress. New York’s budget is now 3 months late. A former Bradford woman is in jail in Warren after being accused of stealing a vehicle and money on Sunday. Police say 38-year-old Doreather Skaggs, who now lives in Clarendon, took the vehicle and $200 belonging to 42-year-old John Bailey, also of Clarendon. The vehicle was later found in Bradford. Skaggs is charged with theft and was jailed after she couldn’t post $50,000 bail. The PA State House has passed the budget bills. Now, they're just waiting for Governor Ed Rendell's signature, which is expected tonight. The state House is now considering the budget bill, House Bill 2279. The Senate passed the bill earlier this afternoon. Today is the last day of Pennsylvania's fiscal year. If the bill is passed, and the governor signs it, this would be the first time in 8 years the state had an on-time budget. Assault and harassment charges against a man have been bound to court following a hearing today in front of District Judge Rich Luther. George Duke Jr. is accused of throwing a woman out of his vehicle, choking her and hitting her. Court papers say that Duke called 9-1-1 to say a woman wouldn’t get out of truck. When police were on their way to the scene, they saw Jamie Defilippo outside The Kitchen restaurant crying. They saw she was wearing one shoe and her back was dirty. Police say they did see blood on her mouth where she said she was hit, as well as other abrasions. Duke is free on bail. Two women accused of breaking into Marsh’s in May have waived their preliminary hearings in front of District Judge Bill Todd, who filled in District Judge Dom Cercone. 27-year-old Amie Jo Hollingsworth and 42-year-old Theresa Grove are accused of breaking into the West Washington Street bar and stealing money, checks, credit cars, 3 12-packs of Bud Light and 8 Snickers bars. The day after the break-in police learned that one of the stolen checks had been cashed at Bradford Beverage. Grove told police she “only cashed the checks” and wasn’t involved in the break-in. Hollingsworth says Grove conspired with her at Artter Hubbart Jr. to commit the burglary. Hollingsworth is free on bail. Grove is in McKean County Jail. Hubbart’s hearing has been continued. In a separate case, Grove is accused of attempting to break into a neighbor’s house. A Kill Buck, New York, man has waived his preliminary hearing on charges that he sold fake controlled substances to undercover agents with the Pennsylvania State Police. 28-year-old Dustin Wackwitz is accused of delivering what was to believed to be controlled substances between May of last year and February of this year. When the substances were sent to the crime lab in Erie, they were determined to be non-controlled. According to papers filed in District Judge Dom Cercone’s office, Wackwitz told police he conspired with other people to sell the fake substances as controlled substances. He was received $1,500 for his role in the scheme. Wackwitz is jailed on $50,000 bail. The state Senate has passed the general appropriations bill by a vote of 37-13. It now goes to the state House. The $28 billion budget bill adds $250 million in basic education funding, but doesn’t raise taxes. Funding for state parks and libraries has been cut, but it’s unclear so far as to where exactly where the cuts will be made. An unspecified number of government workers are also expected to be laid off. The House will have to waive its 24-hour notice rule in order to vote on the budget today. Senate Majority Leader Dominic Pileggi has just asked for a vote on the general appropriations bill. If the Senate passes it, and the House concurs, this will be the first time in 8 years Pennsylvania will have an on-time budget. The fiscal year ends at 11:59 p.m.
A federal grand jury says five women printed thousands of dollars of counterfeit money last year and passed it on the Pennsylvania Turnpike and at Punxsutawney-area businesses. The agent in charge of the Secret Service office in Pittsburgh says the operation was one of "significant sophistication" because the women didn't just make copies of money using a computer printer. He says they also tried to mimic a security strip that's embedded in real money, and ironed the bills to give them a texture similar to real money. The alleged ring operated out of the Punxsutawney area, but prosecutors say the money was passed throughout Western Pennsylvania. Prosecutors estimate the women printed as much as $25,000 from March to May 2009. Agents did not say how they were able to track the phony money back to the women, who are from Kittanning, Ford City and Punxsutawney. Allegany State Park, Ellicottville, Salamanca, Little Valley, Warren and Dunkirk are just a few of the places holding a fireworks show this weekend. The annual Pennhills Club fireworks will be at dusk on July 4. For a list of all the fireworks shows, go to our community calendar. OLEAN -- For the third year in a row, basketball lovers can enjoy traveling I-86 and playing in three Gus Macker Tournaments - Jamestown, Hornell, and Olean. The three Gus Mackers and Community Bank, NA are sponsoring the 3 on 3 by three I-86 Trifecta. The I-86 Trifecta will recognizes players who participate in the 3 tournaments in the Southern Tier: Jamestown (just held June 5, 6); Hornell (July 24, 25); and Olean (August 21, 22) with a complimentary I-86 Trifecta shirt. New this year, all players that are designated as I-86 Trifecta players will be eligible to win a free team in 2011 from the three trifecta cities! Last year’s Olean Gus Macker event was a huge success with two hundred eighty five teams playing, an increase of 44 teams (18.2%) over 2008 tournament. The tournament had 1,140 registered players - an increase of 176. The I-86 Trifecta recognized 80 players who participated in the 3 tournaments in the Southern Tier. PennDOT will place a 10-ton gross weight limitation on the following roads in McKean County. The postings are covered by the provisions of Section 4902 of the Pennsylvania Vehicle Code. The weight postings will be effective July 1. · State Route 321, known as Westerberg Way from the Wetmore, Township line to State Route 59. · State Route 321, known as Westerberg Way in Corydon Township from State Route 59 to State Route 346. · State Route 546, known as Oil Valley Road in Otto Township, from State Route 346 to the New York state line. · State Route 1017, known as R.L. Sweitzer Drive in Otto Township, from State Route 246 to State Route 346. · State Route 3005, known as Hutchins Drive in the Borough of Mt. Jewett and Hamlin and Sergeant Townships, from U.S. Route 6 to the dead end of SR 3005. Runs parallel to railroad. · State Route 3007, known as Halsey Road in Hamlin and Sergeant Townships, from U.S. Route 219 to State Route 3005. Destiny Palmer, a hospitality management major at the University of Pittsburgh at Bradford, has received the Skal International Pittsburgh Tourism and Hospitality Management Scholarship for 2010. Palmer, of Bradford, received the $2,000 scholarship from Skal, an international organization that “brings together all sectors of the travel and tourism industry,” along with hospitality and tourism management students from Penn State University, Robert Morris University and California University of Pennsylvania. The House and Senate could vote today on a $28.05 billion budget, and Governor Ed Rendell says he's prepared to sign it. Legislative leaders reached an agreement Tuesday on a plan that increases spending by 0.6 percent without adding any broad-based taxes. If members agree today, it would be the first time in eight years that a complete general fund budget has passed on time. Boaters on Chautauqua Lake are being warned that the “aids to navigation” beacon lights on the Route 86 lake bridge will be out until further notice. Chautauqua County Sheriff’s deputies say plans are being made to repair the lights, but no date for the repairs has been set yet. A Coudersport house was damaged when a vehicle ran into it Sunday night. Police say 19-year-old Jacob Gill of Coudersport was driving too fast for conditions while approaching the intersection of routes 44 and 49, and the vehicle went out of control, left the road and hit the corner of a house owned by 57-year-old James Jones. Police say no one in the house was hurt, but the crash caused serious structural damage to the two-story building. A 16-year-old passenger in the vehicle suffered minor injuries. Police say Gill is facing numerous summary traffic violations. The man found dead on Monday in Zoar Valley has been identified. In an e-mail sent to WESB and The HERO, Cattaraugus County Sheriff’s deputies say 48-year-old Simon Griffis of Buffalo was hiking along the Deer Lick trail when he fell off a cliff into the Zoar Valley Gorge. Griffis was the executive director of the Ashford Hollow Foundation, which oversees Griffis Sculpture Park. Two hikers from Jamestown found him in Cattaraugus Creek and called police. His body was airlifted out by Erie County's Air One helicopter. Deputies say the preliminary investigation has revealed that there are “no apparent suspicious circumstances involved,” but t heir investigation is continuing. Due to weather and schedule changes, a detour around Route 219 “Bootjack” roadwork near Ridgway will remain in place into July. The detour moves northbound traffic down the “truck bypass” to Route 120 and back to Route 219. Signs are in place directing motorists through the detour. The detour is now expected to be in place until July 9, about a week later than originally planned. Southbound traffic will continue to follow the normal route (219). The current phase of the project stretches northbound from the truck bypass to the intersection of Main and Depot Streets in Ridgway. · Channelizing devices will be in place at both ends of the project to guide traffic. · Flaggers will be present to direct traffic as necessary. · Southbound lanes will experience lane shifts as construction progresses. · Southbound traffic will be one lane only during construction. · No restrictions will be in place for oversized loads. The McKean-Potter Counties American Red Cross will be holding its Annual Meeting on Wednesday, June 30, 2010 at 6:00 p.m. in Bradford at the Sawyer Evangelical Church pavilion. The event recognizes volunteers and donors for their support of the Red Cross programs and services. Any volunteer or donor is able to attend and if attending, should RSVP by contacting the chapter office by 4:00 p.m. on Tuesday, June 29, 2010. A former New York State Department of Health worker has pleaded guilty to using the department’s postage meter to send items he auctioned on eBay, according to the state attorney general's office. 57-year-old Robert Pagini of Rensselaer admitted to using the department’s postage machine to pay the postage for the items that he was sending to his eBay customers from March of 2004 to January of this year. He also used the machine to pay for the postage on personal mail. All together the postage amounted to a theft from taxpayers of more than $16,000. As part of the plea agreement, Pagini must pay full restitution and never again seek nor obtain employment with a government agency. Pagini was released without bail pending sentencing on August 27th. Twenty-six street-level drug dealers have been charged following an investigation into the distribution of heroin, cocaine, marijuana, Ecstasy, and prescription narcotics in and around Avoca, Luzerne County. Attorney General Tom Corbett said the investigation, known as "Operation Street Sweeper" began in October 2008 and focused on low-level dealers who were operating throughout Luzerne County, specifically in the greater Avoca area. "Every drug dealer that we take off the streets is important, whether it is large-scale distribution rings or street-level sweeps such as this one," Corbett said. According to agents, these individuals sold small amounts of various types of drugs, including heroin, cocaine, marijuana, Ecstasy, Vicodin and Xanax. One of the people charged Monday is already jailed in the State Correctional Institution in Forest County. 21-year-old Jason "Jay" Roberts is charged with two counts of possession with the intent to deliver Ecstasy. A Marine from Pittsburgh has been killed in Afghanistan. The Defense Department reports that 24-year-old Sgt. Joseph D. Caskey died Saturday while supporting combat operations in Helmand province. He was assigned to 3rd Battalion, 1st Marine Regiment, 1st Marine Division, I Marine Expeditionary Force, Camp Pendleton, Calif.
Continental 1 has appointed Philip Scherer as executive director. He has extensive involvement in management, cross-border and economic issues during his career at Niagara University, where he is an economics professor. Scherer says he’s looking forward to meeting with Continental 1 stakeholders from Toronto to Miami on the completion of Route 219 in New York and Pennsylvania as a safe and sustainable 4-lane highway. LEWISTON, NY– U.S. Customs and Border Protection (CBP) Field Operations announced the arrest of two United States citizens wanted in North Carolina on a violent assault case. An essay by Dr. Nancy McCabe, associate professor of writing at the University of Pittsburgh at Bradford, is among those chosen for the Best American Essays 2010 notable list, and three current issues of literary journals feature McCabe essays. The notable essay, “Still Dancing,” appeared in Gulf Coast: A Journal of Literature and Fine Arts in 2008. McCabe has had essays appear on the Best American Essays notable list three other times, in 1999, 2000 and 2009. “Still Dancing” focuses on female body image and weaves together strands about the adult tap dance class at Peggy Johnson’s studio in Bradford and the story of McCabe’s mother’s breast cancer the first year she danced. New essays by McCabe, who directs the writing program at Pitt-Bradford, also appear in the spring issues of three magazines, Fourth Genre, Colorado Review and the Bellingham Review. “All three of them are experiments with form,” McCabe said. Two hikers found a dead body in Zoar Valley Monday night. The women found the body in Cattaraugus Creek while hiking near the Forty Road parking lot. After they called police, the Erie County Sheriff's helicopter, Air One, flew the body out of the valley and turned it over to the Cattaraugus County Coronoer’s office. No further information has been released yet. The National Weather Service has confirmed that one tornado touched down late Sunday night in southeastern Allegany County, and another touched down at Presque Isle State Park in Erie. A survey team from Buffalo was in Allegany County Monday and rated the twister an EF1, with winds estimated at 100 to 110 mph, and said it touched down about 11 p.m. near Paynesville, not far from the Pennsylvania state line, and continued east for about 5 miles to about 2 miles south of Whitesville. The tornado demolished one barn and moved another barn off its foundation. Tree limbs were snapped and power lines also were downed. A team from Cleveland rated the Erie tornado an EF0, with winds of 80 to 85 miles per hour. The tornado touched down in an area measuring 75 yards by 250 yards. The park, which was left without power Monday, is expected to reopen between 10 a.m. and noon today. Investigators say trees toppled outside the tornado areas were probably knocked down by straight-line winds. Chalk one up for the Senecas. A federal judge has granted a 14-day restraining order that allows the Seneca Smokshop to keep selling mail order cigarettes. The Prevent All Cigarette Trafficking – or PACT Act – was passed by Congress and signed by the president earlier this year. It goes into effect on Thursday. Red Earth, the corporation that runs the Seneca Smokeshop, successfully argued that the PACT Act would irreparably harm their business, and also that aspects of the Act violate the U.S. Constitution. The Senecas and the U.S. government have been ordered to appear in Federal Court in Buffalo for a hearing next Wednesday. 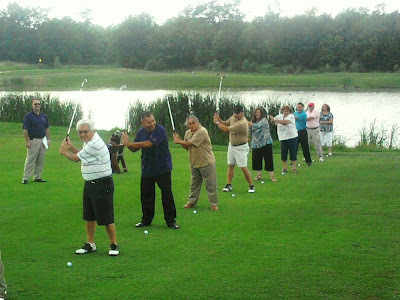 LEWISTON, N.Y. – Western New York has a new destination that the golfing public is sure to notice. Representatives from the Seneca Nation of Indians, Seneca Gaming Corporation and the Town of Lewiston joined together this morning to celebrate the ceremonial opening of Seneca Hickory Stick Golf Course, a $25 million public golf course that will officially open for play on July 2. The challenging par-72 layout was designed by renowned golf course architect Robert Trent Jones, Jr.
Dennis W. Lowery, 65, of 25 School St., passed away Sunday, June 27, 2010 in Gibsonia. Funeral arrangements are incomplete, and will be announced with a full obituary by the Hollenbeck-Cahill Funeral Homes Inc.
Dennis Lowery of Bradford, a longtime supporter of the University of Pittsburgh at Bradford, an active member of the Pitt-Bradford Alumni Association and a member of the first class in 1963, will receive the Presidential Medal of Distinction, the university’s highest honor. Demolition work to bring down two buildings in Punxsutawney on the site of groundwater and soil contamination will begin on Monday, July 12, according to the Department of Environmental Protection. DEP’s contractors will take down the now-vacant Berlin Metals Building, located at 400 Walnut St., which formerly housed an electroplating business for which the building is named. Contractors also will tear down a residence at 617 Cherry St. that has been unoccupied for a number of years. In advance of the work, DEP will hold a public meeting at 6:30 p.m. on Wednesday, July 7, at the Punxsutawney Borough Council Chambers, 301 East Mahoning St., Punxsutawney, to provide residents an opportunity to learn more about this latest phase of the cleanup. DEP has been investigating contamination at the site and conducting cleanup activities there since 2006.